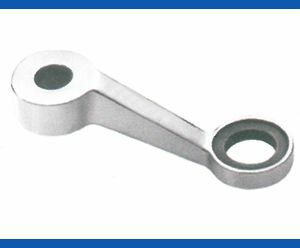 Stainless steel spider fittings would wonder what exactly we mean innovation in the products, design studio and tool room to innovate and develop new design dies. 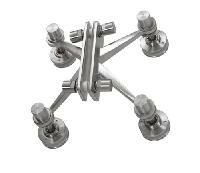 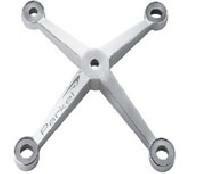 We offer spider fittings and canopy fittings. 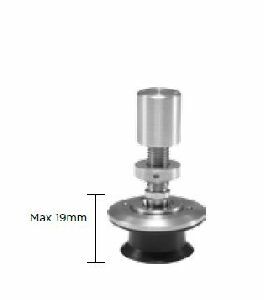 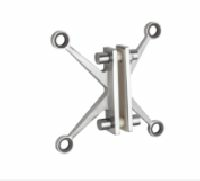 The offered product is designed and manufactured in compliance with international quality standards using optimum quality raw material and modern technology under the supervision of quality controllers at vendors end. 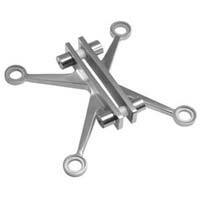 Furthermore, we offer these spiders at pocket friendly prices. 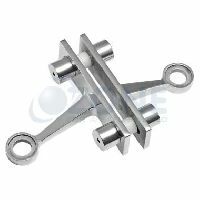 From our unit in Delhi, India we are considered to be one of the recognized suppliers of Spider Fittings . 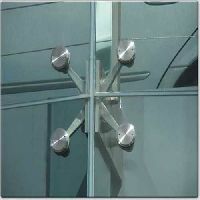 These fittings that we offer can be attached to glass or glazing. 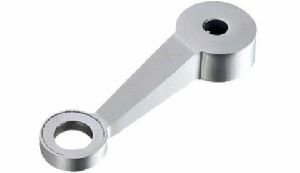 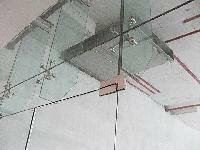 The fittings we offer come with a fin holder and are used widely in the construction of glass buildings. 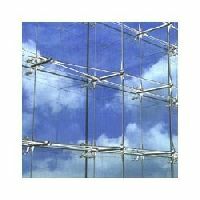 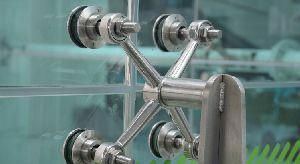 They help to connect and strengthen four panels of glass to withstand the pressure or force of the wind. 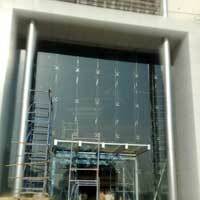 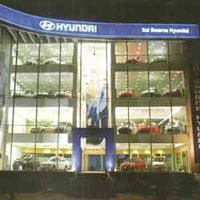 We Do Acp Cladding,toughened Glass,patch Fittings,shower Cubicles,spider Fittings. 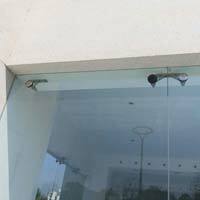 These Glass fittings are designed for assembly for frameless glass Facade for Building Exterior, Canopy and Skylight. 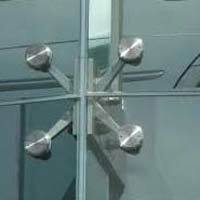 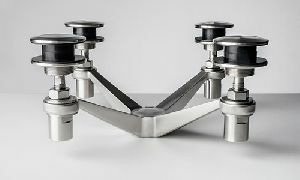 Unique 'Countersunk' glass fittings for aesthetic appeal. 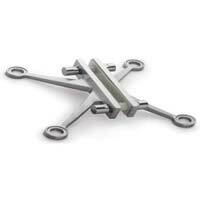 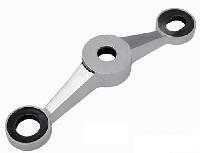 Avialable in SS304 & SS316 Product range include Fin type and Non-Fin type Spiders. 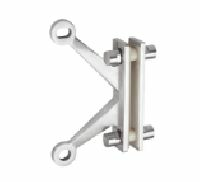 Facade Bolts are Articulated with options of Countersunk Head , Flat Head and for DG units Spider Fittings are available in 200mm, 210, 250 and 300mm series. 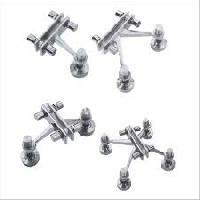 We offer high utility range of Rope Spider Fittings that are made from superior quality stainless steel and zinc alloy. 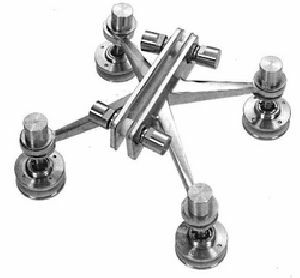 They provide stability to the accessory that are fitted in and easy to fit. 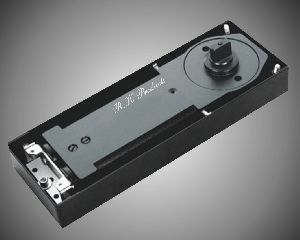 Highly durable and a wide variety to choose from, we also offer customized designs. 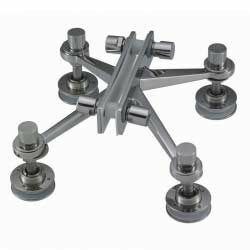 With our spacious experience and knowledge, we are engaged in Manufacturing, Service Providing, Supplying, Trading and Retailing a wide range of Spider Fitting. 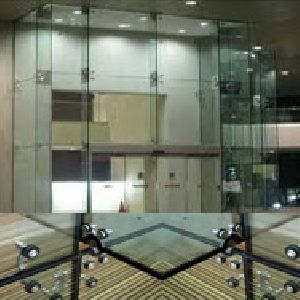 Use: Use to attach single glass panel to a structural end post Applications: Tempered glass wall Canopy applications Structural walls Features: Hassle free installation Rugged design High strength Majorily Supplied In Gujarat. 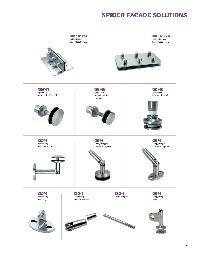 We are offering spider fitting. 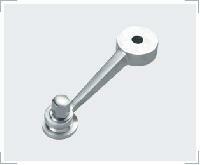 spider fitting in ss 304 & 316, point fixed and fin type.